You’ve accomplished something extraordinary. Very few know the PCT like you do. Report your hike. Get a certificate and a medal. Get on the list. You’ve accomplished something extraordinary—the physical and mental determination to walk or ride your horse for months along the lofty spine of the American West. We salute you! And we welcome you to one of the most unique alumni communities in the world—one you’ll be a part of for a lifetime. Get a commemorative medal or certificate. You’ve earned it. We’d be honored to send you a certificate to recognize your time on the trail. It’s free. The PCT completion medal is one of the world’s great keepsakes. They’re only available to you and the rest of your alumni community. For a donation of $40 or more, you’ll receive a beautiful completion medal and know that you’re helping support the PCTA’s efforts to protect, preserve, and promote the PCT. It’s engraved with your name to commemorate your accomplishment. We’d like to send our warmest appreciation to Eric Ryback for funding the medal program for many years. 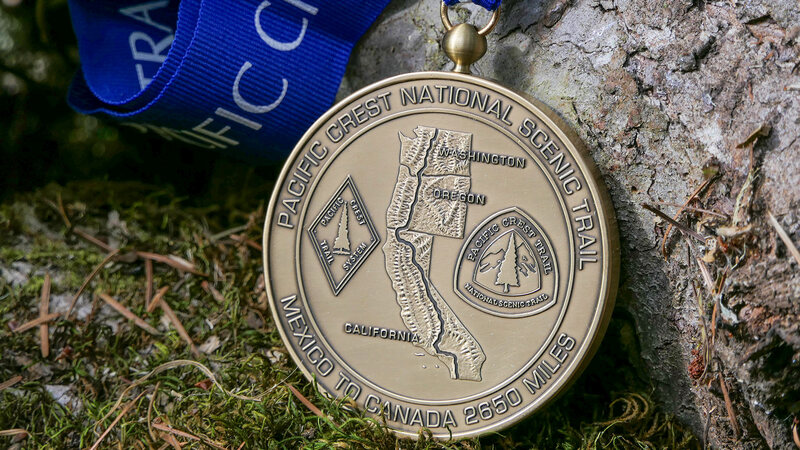 To learn more about the PCT completion medal, read our blog post about its origins. Both medals and certificates are available when you fill out the trail completion form. We operate on the honor system. 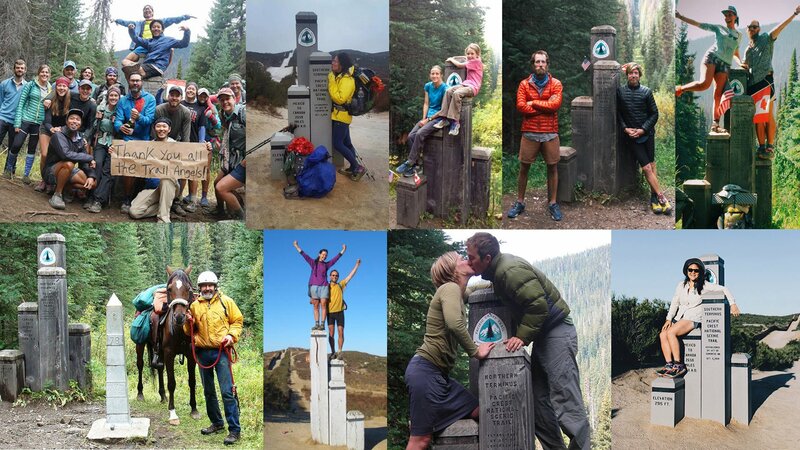 When you tell us that you’ve completed the trail, we’re happy to recognize your achievement. PCTA is important. We hope you’ll stay involved. You know firsthand the vastness of the PCT and the astounding variety of landscapes it passes through. It’s a life-changing experience. The trail—and your extraordinary accomplishment—wouldn’t exist without people like you giving back. Your passion is the future of the trail. Please fill out our trail completion form so we can recognize your achievement.